Rong Cheng Delight is located in the same row as Ron Sheng Fish Head Bee Hoon in Jurong East. 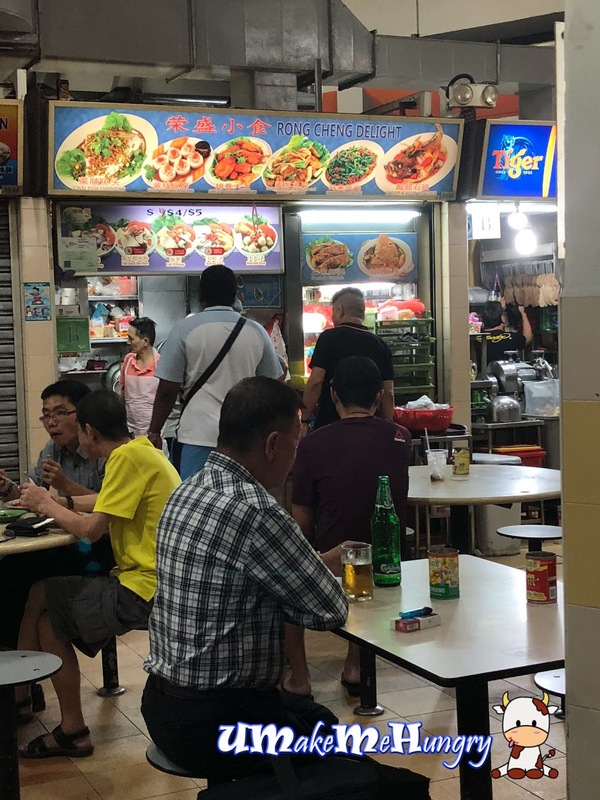 Having spotted Rong Cheng Delight ever since I had its neighbour Fish Head Bee Hoon, we always have such plan to dine there after seeing so many plates of Cai Po Fish Head doles out from their kitchen. However, it was always tough to order Cze Char with just 2 pax. 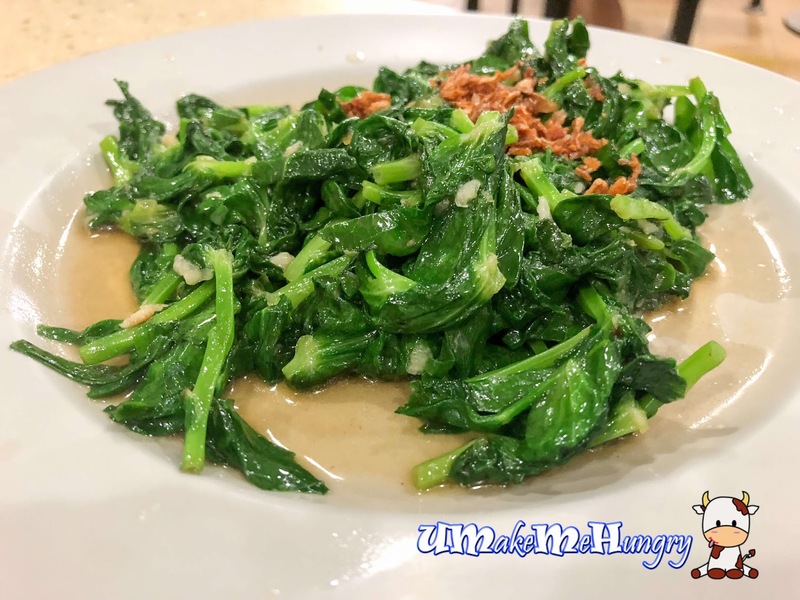 We were going to the near by Famous Fish Cze Char, unfortunately it was closed for the day and we had decided Rong Cheng Delight as an alternative. The Cai Po Fish Head did impress. 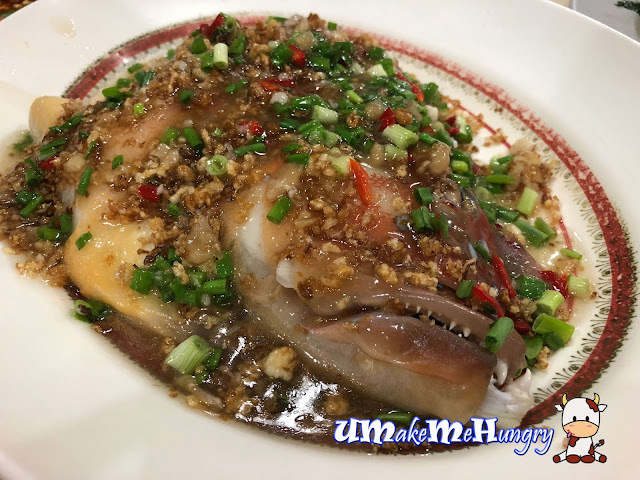 Fish head was fresh and heavily covered with cut spring onions, chilli and Chai Po (Preserved Vegetables bits) in sweet gravy. If you are thinking that the dish will be salty because of the generous use of Chai Po, this isnt the case here. Reversely, I find the dish tantalizing and ends with a great sweet frehness note. 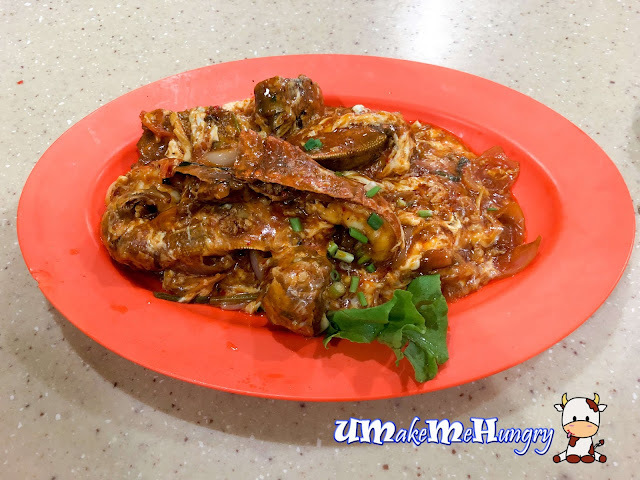 Fresh and yummy, these Crayfish were cook in the style of local chilli crab with eggs in tomato & chilli based gravy that was so addictive. Believe me, you just won't leave your bowl of rice plain without scooping the delicious gravy back onto your bowl. We had 3 big crayfish and these meat were tender and went easy to de-shell with the forks. Not the usual Dou Miao I had that was in little stalks. This was the bigger version of Dou Miao and was stirred fried with minced garlic. Awesome minced meat egg we had! Love its fluffiness and adequate amount of meat stuffing in it. 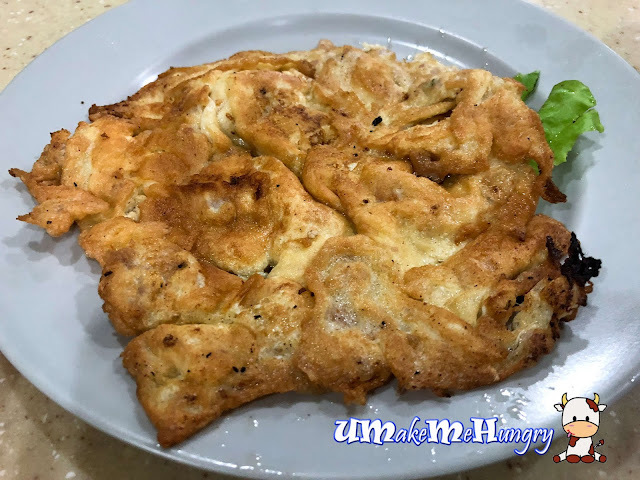 Though egg is a common home cook dish, once a while we will still order this as we will never get such texture of egg if we do it at home. Cze Char Stall's egg has always been much better as they have a better wok and flame power to achieve such delicious fluffy egg. No doubt about them being reputable and popular in the Market. If Zai Shun is closed, Rong Cheng Delight can be a good alternative if you want to have some "Fishy Eats".